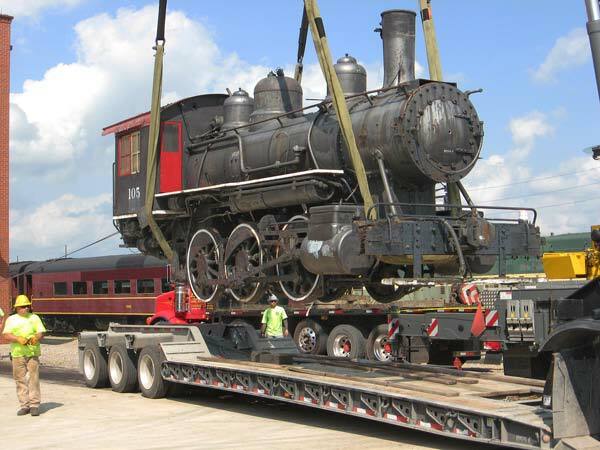 Our soon-to-be-delivered Woodward Iron 2-10-0 No.41 (formerly Alabama, Tennessee & Northern No.401) is en route from Chicago to Sugarcreek as this is being written. During 1928 AT&N ordered from Baldwin Locomotive Works this light 2-10-0 Decapod-type steamer. Decapods were larger and produced more tractive effort than 2-8-0s and smaller 2-8-2s, but spread their increased weight over five driving axles instead of four, thus reducing axle loads. Because of World War II’s sudden and enormous increase in the volume of rail traffic moving through the Port of Mobile, the War Production Board authorized AT&N to purchase diesel locomotives and be completely dieselized by 1946. During that year AT&N 2-10-0 No.401 (BLW serial #60341) was sold to the Georgia Car & Locomotive Company (a dealer in used railroad rolling stock), and resold in 1948 to the Woodward Iron Company which renumbered it as No.41. The loco was retired in 1959, and in 1964 was purchased by the Mid-Continent Railway Museum in North Freedom, Wisconsin. 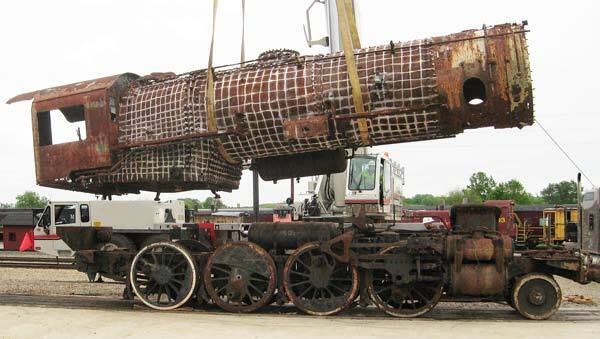 Plans to rebuild it never materialized, and the museum determined that it no longer needed nor wanted this loco. 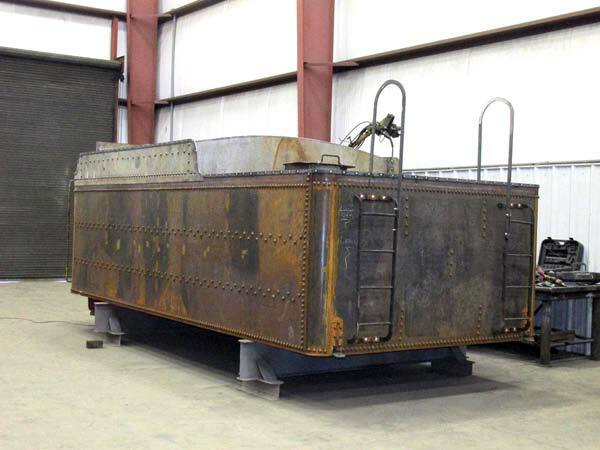 No.41 was sold to Jerry Jacobson at auction during May 2015, and moved by highway truck and railroad flatcar to the Age of Steam Roundhouse during December 2015. Cuban Compressed Air 0-4-0 No.1 During 1915 our 0-4-0 three-tank, compressed air locomotive was constructed by H.K. Porter in Pittsburgh as the first such air engine used in the sugar cane fields of Cuba. Needing no fire, producing no sparks and exhausting no fumes, these locos were perfect for use at flammable and explosive installations such as oil refineries, military arsenals, underground mines, textile mills, cotton wharves and sugar cane fields. They were forerunners of the highly successful, fireless cooker-type steam locomotives that would later dominate this niche market. This is one of the largest, three-tank compressed air locomotives ever designed for extended outdoor use with heavier loads. During normal operation this air locomotive’s three storage tanks were charged with compressed air to 800 psi; a distribution valve maintained constant 250 psi delivery to the high pressure cylinder. This is a true compound locomotive in that the used air was exhausted from the left side high-pressure cylinder and piped to the right side low-pressure cylinder where that same air was reused at 75 psi to produce a little additional power. During regular service this locomotive produced 10,000 pounds of tractive effort and weighed 30,000 pounds. Several years after the Cuban sugar cane industry went bust during 1921, this locomotive was repatriated back to the U.S. by the same company that had ordered it from Porter. The 0-4-0 worked for the remainder of its active career at the New Orleans Water & Sewerage Board, and after being retired was saved and displayed in the Big Easy. 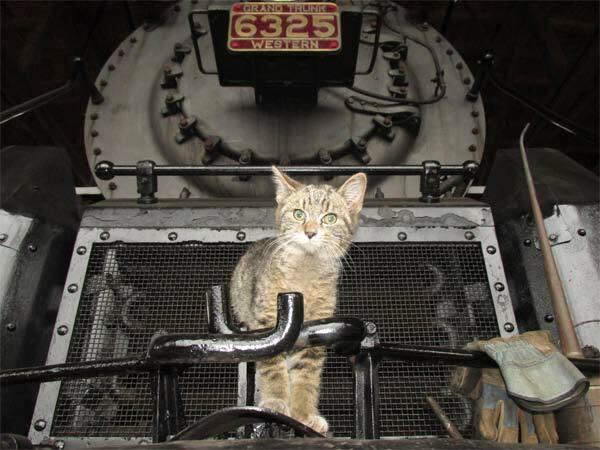 Delivered to the Age of Steam Roundhouse on November 10, 2015, this ungainly, unusual little loco is believed to be the sole remaining, Porter-built, three-tank compressed air locomotive in the world. During 1901 McCloud River RR turned to Baldwin for a pair of 2-6-2s. Carrying boiler serial #18596, steamer No.9 operated through the forests of northern California. It burned wood which was in abundant supply, but wood-burning boilers had several drawbacks—fiery embers, mostly—so during 1920 No.9 was converted to burn oil. This 2-6-2 was sold and resold to several short lines, and, after retirement No.9 sat derelict until 1964 when it was purchased by the Mid-Continent Railroad Museum in North Freedom, Wisconsin. During the summer of 1971 the new Kettle Moraine steam tourist railroad began operations in North Lake, Wisconsin, and No.9 (nicknamed Sequoia) was moved there as the tourist line’s primary steamer. This tourist line would become an unfortunate victim of real estate development of former farm land. New residents complained about smoke, noise and tourist traffic, and the quaint steam train was no longer wanted in the upscale village—October 28, 2001, was the last day of operation. 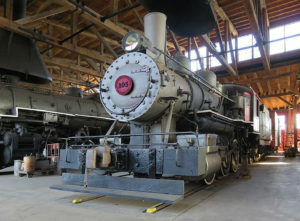 No.9 was stored safely indoors for 14 years, purchased by Jerry Jacobson, and was delivered to the Age of Steam Roundhouse in on August 25, 2015. Jacobson and others of us at AoSRH, and we have happy memories of operating No.105 under its own steam and, later,compressed air power after the 0-6-0 lost boiler certification. There is a sentimental connection between No.105 and its many admirers here at AoSRH, and, when this locomotive became available through the terms of a complicated estate sale, this 0-6-0 was acquired by Jerry Jacobson. No.105 was apparently constructed by Baldwin Locomotive Works in January 1917, carrying boiler #44886. It was numbered 51 as one of four 0-6-0s (Nos.51 to 54) built for John Marsh, Inc., a railroad contractor. Other details are sketchy. This is the fourth 0-6-0 acquired by Jerry for the Age of Steam Roundhouse, and there are no plans to rebuild No.105 for operation. No.105 Sturm & Dillard 0-6-0. U.S. Army Transportation Corps “G.I.” 2-8-0 No.2630 On May 13, 2015, the Age of Steam Roundhouse acquired its 14th steam locomotive, former United States Army Transportation Corps “G.I.” 2-8-0 No.2630 (Baldwin, 1923). This is one of 2,120 standard design, 2-8-0s constructed during World War II by U.S. locomotive builders Alco, Baldwin and Lima for use all around the globe. These small-but-mighty 2-8-0s were designed with a compact loading gauge for use on British railways so that they would fit through low-clearance tunnels, and were light enough for operation just about anywhere. Immediately given the sobriquet of “Yanks” by thankful, locomotive-starved Brits, about 800 of these 2-8-0s were placed into service on British rails during the first years of the war, with nearly all being sent across the Channel to the European continent after D-Day. Like most military equipment, the Yanks were intended for a short-duration existence of only six-years, but many saw in service in far-flung corners of the world for 3 more decades. Eight G.I. 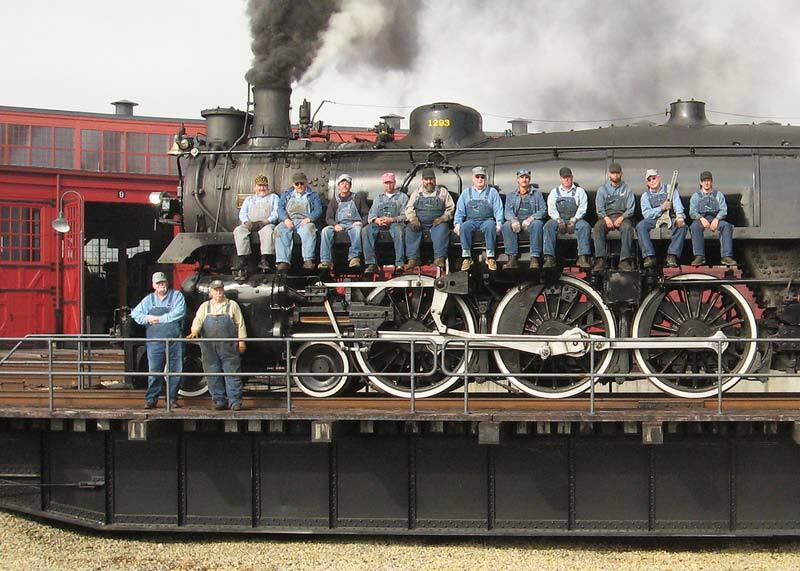 2-8-0s have been preserved on American soil, and about two-dozen others survive worldwide. The 2630 was never shipped overseas, but remained stateside and was used for railroad operation and maintenance training at the U.S. Army Transportation School at Ft. Eustis, Va. The 2-8-0 was renumbered 612 in 1954, and remained on active duty at the Ft. Eustis Military Railroad until the end of steam operations there during 1972. Our long-range strategy for this long-retired veteran is that it be restored to its original 1943 military appearance as No. 2630, and called back to active duty. 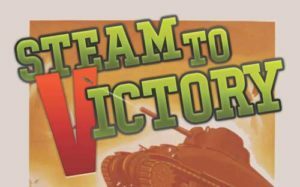 This 2-8-0’s new owner, Jerry Jacobson, himself a veteran of the U.S. Army’s 82nd Airborne Division, will give this other military veteran a safe bivouac among Age of Steam Roundhouse’s ever growing arsenal of steam. Our former Canadian Pacific 4-6-2 #1293 received flying colors during its annual inspection conducted by the Federal Railroad Administration. This past summer and fall the shiny black beauty was fired-up and operated several times for some local, special events. AoSRH chief mechanical officer, Tim Sposato, uses fiber-optic cable to inspect the flues, tubes and other internal components inside the boiler of ex-Canadian Pacific 4-6-2 No.1293 during this locomotive’s annual inspection. As usual, No.1293 was found to be in perfect condition. Shop work continues on 0-6-0 locomotive No.12, albeit slower than we would desire because of our previously-mentioned heavy work load this year. Portions of No.12’s smokebox were repaired or even replaced altogether, as well, thus eliminating several, thin, eroded areas and many drilled-but-no-longer-used bolt holes that had previous uses during No.12’s long career. 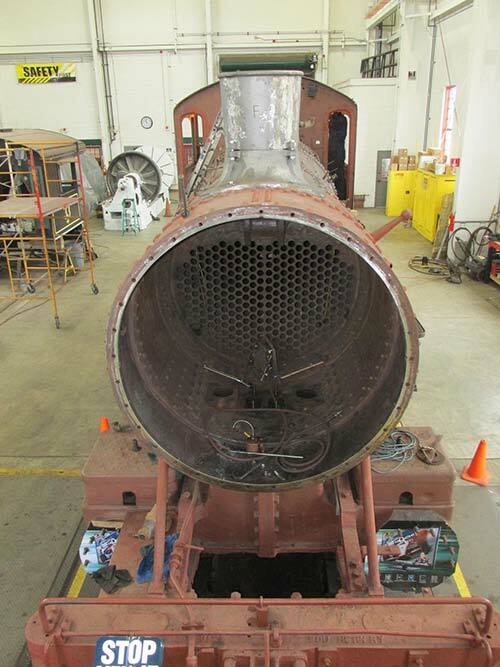 The 0-6-0’s newly-manufactured smokestack, smokestack base and exhaust nozzle castings were installed in the smokebox. These castings were very well made by a different foundry than the one that we had been using. All of No.12’s ALCO-type, flexible staybolt sleeves are being renewed because the majority show signs of past repairs and/or deterioration, thus requiring that all-new staybolts be installed in order to complete this portion of boiler work. No.12 Morehead & North Fork 0-6-0 showing new smokebox steel and new stack castings. Restoration of Age of Steam Roundhouse’s Niles quartering machine has been completed. It is permanently mounted in our back shop, leveled and is in full operation. 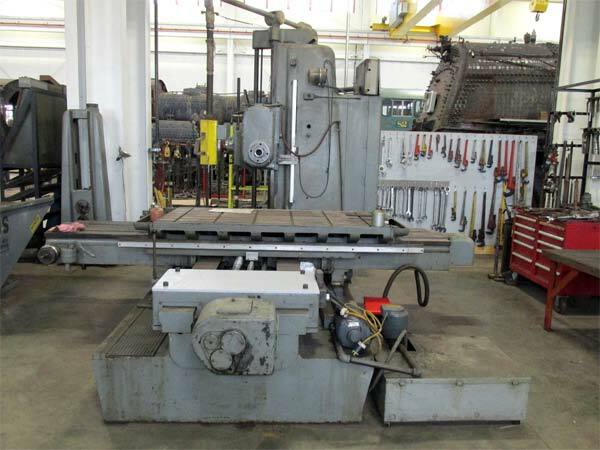 Along with a new platform for the operator, small tooling items for proper cutting will be made this winter. As seen in the accompanying photo, it sits between the tracks of the shop’s two bays, and was recently joined by our newly installed 80-inch wheel lathe whose rebuilding is just beginning. The rebuilding of our Niles quartering machine (in gray paint) has been completed. 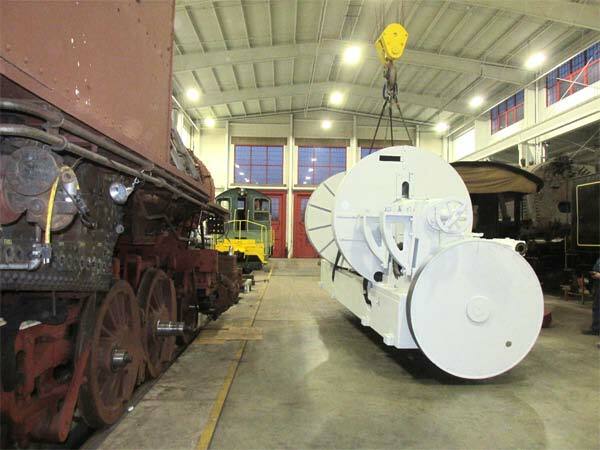 The Age of Steam Roundhouse’s Lucas horizontal boring mill has been reconditioned and placed in service. It required some rewiring, several new contactors were installed and the limit switches were replaced, as well. We found a few gears inside the mill that had enough wear on their teeth to warrant that new ones be made. This machine will prove its worth in the near future as we have several jobs lined up for it during 2016 that will give it a work out. The reconditioning of our Putnam 80-inch wheel lathe began in October 2015. Many small component parts have been removed and cleaned, and are receiving repairs. Additional disassembly and rebuilding is planned, with completion of restoration scheduled for 2016. 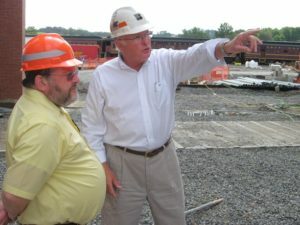 We will be very thorough in our efforts to have a safe and reliable machine for years to come. The Putnam wheel lathe is moved into position by our back shop’s 30-ton overhead crane. The AoSRH general offices “Depot” was officially opened in May 2015. The move of all office equipment and employees from downtown Sugarcreek was completed quickly, as everyone looked forward to enjoying their new accommodations located rear the looming walls of the adjacent roundhouse. The depot contains four offices, employee restroom and kitchenette. A large waiting room and public restrooms complete this beautiful structure. To one side is a bay window with a traditional telegrapher/station agent office, complete with working train order board controls and historic, local railroad artifacts. A paving-brick platform and walkways with concrete curbing surround the depot’s exterior. Gooseneck platform lights decorate the passenger loading area, and a PRR-inspired hairpin fence separates the railroad track from the main entrance driveway. The lighted, fully functional train order semaphore boards (whose positions are changed frequently) add a final touch of realism, giving this structure the look of a classic brick railroad station in an average-size American town. Age of Steam Roundhouse’s new general office/depot. Our last addition just showed up one day at Thanksgiving time in the form of “Felix”, the new roundhouse cat. He is about 10 weeks old, and has quickly adapted to all of the noise and activity in the shop. Felix is friendly and takes great pleasure in climbing up one’s pant leg for a little attention…and possibly a little treat. During 2009 AoSRH purchased former W&LE caboose No.0222 at auction, but it would sit for six years in the railroad yard at Minerva, Ohio, because of being blocked-in by dozens of stored pieces rolling stock. That equipment was finally moved out of the way, and a special AoSRH train hauled No.0222 up to its new home in Sugarcreek on August 4, 2015. Almost immediately restoration began, with much interior woodwork being done, including replacing many old window frames and flooring. The caboose’s interior was repainted, and seating upholstery renewed. Longtime friend Gary Busby donated an electric W&LE caboose lamp that was quickly installed on the wall above the conductor’s work desk. The car’s exterior received a sandblasting and new coat of red paint (complete with black roof, black steps and black handrails), thus replicating No.0222’s original appearance when completed on May 28, 1949, at W&LE’s Ironville car shop in Toledo. The caboose’s W&LE lettering had not yet been applied when we placed No.0222 in temporary service as the Age of Steam Roundhouse’s “Christmas Caboose” display beside our new Depot. The crew and volunteers at Age of Steam Roundhouse fired-up our ex-Canadian Pacific 4-6-2 No.1293, and posed for a photo on the turntable in order to send Christmas greetings to you. Seated, left to right: Jerry Joe Jacobson, Dennis Daughterty, Jeff Williams, Greg “Q-Tip” Miller, Bill Hanslik, Mike Costill, Tim Sposato, Scott Czigans, Allen Layman, Barry Fogle, Jay Jacobson. Standing on turntable: John B. Corns, Bill Goslin. Photo by: Debbie Compton. 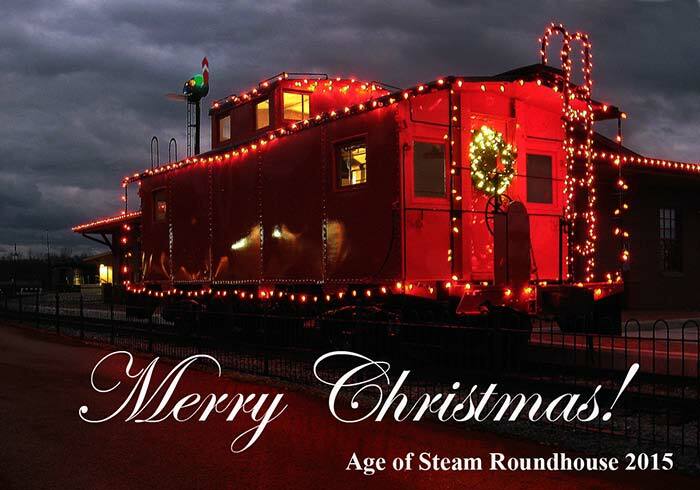 The Age of Steam Roundhouse staff wishes everyone a Merry Christmas and a Happy New Year during 2016. Please remember all of the men and women who are in the service of our great country in all locations around the world, fighting and guarding us so that we are able to live the free life that sometimes might be taken for granted. Thank them for what they do for us and for the United States of America, the greatest country on our planet!! !